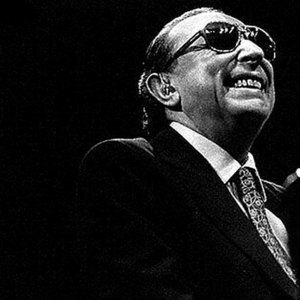 Tete Montoliu (March 28, 1933 - August 24, 1997) was a Catalan jazz pianist, whose real name was Vicen? Montoliu i Massana. He was born blind, in the Eixample district of Barcelona, and died in the same city. He was the only son of Vicen? Montoliu (a professional musician) and ?ngela Massana, a jazz enthusiast, who encouraged her son to study piano and in 1944 engaged his piano teacher, Petri Palou. Before that, Montoliu had his first piano lessons with Enric Mas at the private school for blind children that he attended from 1939?1944. He was born blind, in the Eixample district of Barcelona, and died in the same city. He was the only son of Vicen? Montoliu (a professional musician) and ?ngela Massana, a jazz enthusiast, who encouraged her son to study piano and in 1944 engaged his piano teacher, Petri Palou. Before that, Montoliu had his first piano lessons with Enric Mas at the private school for blind children that he attended from 1939?1944. From 1946 till 1953 he studied music at the Conservatori Superior de M?sica de Barcelona, where he met his first jam session fellows. Don Byas arrived in Barcelona 1947 and introduced Tete to the Bebop style. On March 13, 1956 he met the vibraphonist Lionel Hampton in a jam session in Barcelona. Montoliu toured with Hampton through Spain and France and recorded Jazz flamenco.